New Online Sizing Calculator for Machine Foundation Design. With the launch of Fabreeka’s new online sizing tool for machine foundation isolation, the company expands its services with a digital offering free of charge that is accessible 24/7. 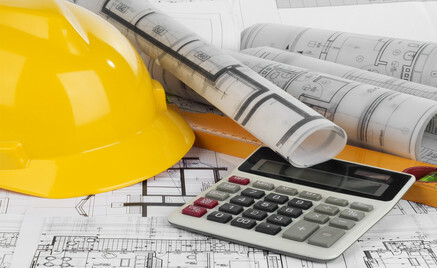 Designers of foundations or inertia masses for industrial machinery will achieve quick results when inputting their information about the foundation they want to design, along with the specifications of the machine they want to install. Civil and structural engineers or anybody wishing to access Fabreeka’s knowledge and recommendations for proper vibration isolation can now do so anywhere, and anytime in just a few steps with the help of the easy-to-use software provided in the calculation tool online. To read the full press release click here. Boston, MA-USA – Fabreeka’s new FAB-EFP® foundation isolation material is a cost-effective, environmentally friendly product created from recycled crumb rubber. FAB-EFP is manufactured in different densities to offer the benefit of vibration isolation for a wide variety of applications from isolating inertia masses and buildings, to industrial equipment. The damping coefficient remains constant over all densities, and has converging natural frequency over large loading ranges for consistent performance. 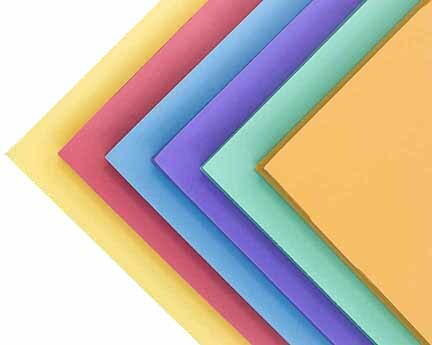 FAB-EFP is supplied in large sheets for an easy, less labor-intensive installation. Please contact Fabreeka’s Engineering department at 1-800-322-7352 for assistance with which density works best for your application, or visit our website for more information and to download the FAB-EFP_brochure. Boston, MA-USA – Fabreeka International is pleased to introduce our FAB-EPM HP, low frequency vibration isolation material for building and machine foundation isolation. FAB-EPM HP is a mixed cell polyurethane foam that is supplied in various types to allow for optimal isolation performance for your application. FAB-EPM HP is supplied in sheet/roll form to provide a simple, less labor-intensive construction method for foundation isolation. FAB-EPM HP vibration isolation materials provide low frequency isolation, ease of installation and design flexibility to meet a wide range of applications under equipment and machinery, as well as isolating a building or structure from its surroundings. Please contact Fabreeka’s Engineering department for assistance, or visit our website for more information. 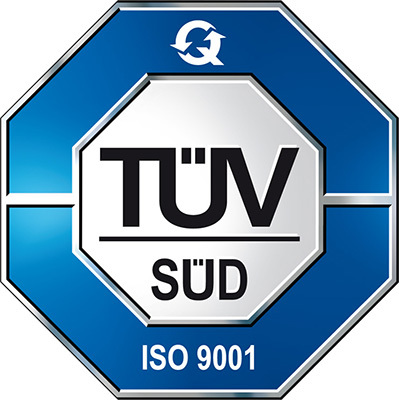 Fabreeka International is pleased to announce that the Quality Management System at our Stoughton, MA, facility is ISO 9001:2015 Certified. The certification was obtained through globally recognized registrar TÜV SÜD America. The ISO 9001:2015 Quality Management System provides a framework for implementation, maintenance, and continual improvement of internationally instituted quality best practices within Fabreeka’s organization. “Obtaining our ISO 9001:2015 certification supports and strengthens our commitment to continually improve upon the delivery of services to our customers, exceed customer requirements and expectations, and build Fabreeka’s relationship with clients across all sectors of our business.” ~ Mr. David Meyer, General Manager. Boston, MA-USA – Fabreeka International is pleased to introduce Fabreeka® QuietDown®, acoustic floor underlay. Fabreeka QuietDown is a multi-purpose, high performance acoustic underlay engineered to reduce sound transmission through subfloors. 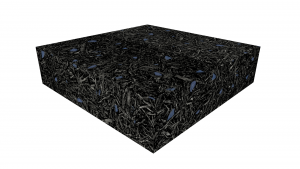 It is manufactured from durable recycled rubber, which translates into a stronger, more resilient acoustic underlay. Fabreeka QuietDown reduces mid to high frequency impact sounds, such as sliding chairs, moving furniture, people walking in hard soled shoes, children dropping toys, pots or items being dropped in kitchens. It is perfect for condos, kitchens, playrooms, hotels, institutional settings and anywhere else where noise transmission is a concern. Available for a wide variety of flooring types such as ceramic tile, stone, hardwood, engineered wood, laminate, commercial carpet and vinyl, Fabreeka QuietDown offers incredible sound damping qualities. Easy-to-install sheets are thinner, lighter, and stronger than conventional underlays. Laying and trimming is quick and easy. All Fabreeka QuietDown products are engineered from recycled rubber, so every square foot you install means less landfill waste. For contractors, this means Fabreeka QuietDown contributes to green content and LEED credits. Please contact us or visit our website for our new product catalog. New Green color Fabreeka-TIM® structural thermal break and new product catalog/design guide. Fabreeka International announces new Green color Fabreeka-TIM® structural thermal break and new product catalog/design guide. Boston, MA-USA – Fabreeka International is pleased to introduce our Fabreeka-TIM®, structural thermal break material, in a new Green color. There is a growing requirement around the world for structural thermal breaks to reduce energy loss within buildings, both commercial and residential. The need to evaluate thermal bridging in a building’s design and performance, especially when seeking LEED accreditation, has become more prevalent because of the increasing requirements for more energy efficient buildings. 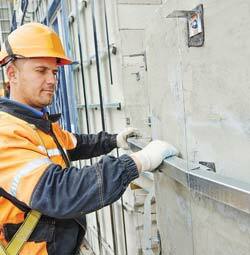 Fabreeka-TIM® is a cost efficient solution for your new construction or refurbishment project. When you see green Fabreeka-TIM® in the field, you can feel confident that you have a superior product which conforms to the published specifications for our thermal break material. Fabreeka has a long history in the building and construction industry and we have many knowledgeable engineers on staff ready to assist. Fabreeka-TIM® is a load bearing thermal break that maintains structural integrity while reducing energy loss. Made in the USA, Fabreeka-TIM® is stocked in several thicknesses, including 1/4″, 1/2″ and 1”, for quick turnaround times. Fabreeka utilizes a water jet machine for precise cutting to any configuration. It can be supplied with Fabreeka-TIM® washers, and Fabreeka® bushings, which when used together in a structural connection, greatly reduce the energy loss rate through conduction. Please contact us or visit our website for our newly released product catalog/design guide.